This Toupee Hair Piece is our custom made Men toupee piece. 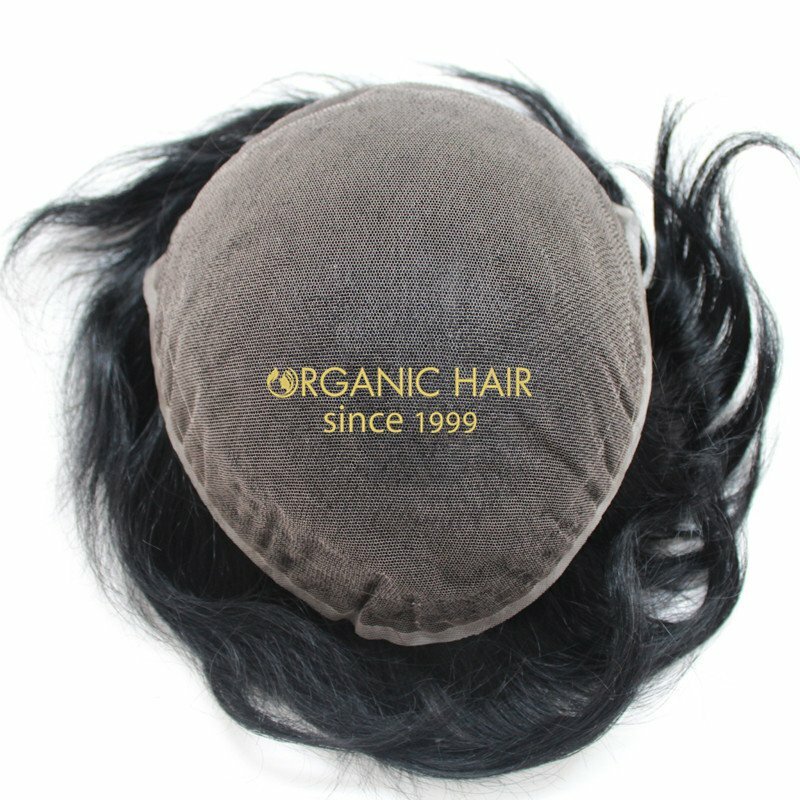 As a honest professional manufacturer of toupees and wigs, Organic Hair can make wigs and hairpieces exactly as your requirement.The hair type for the hair piece is Indian hair. Remy hair extensions for men high quality and soft hair texture. There are also Chinese hair, Mongolian hair, Russian hair, European hair in our factory. Both remy hair and virgin hair are available. This toupee is stock hair replacement is our recent custom made order. It is made exactly as requirement. It is very natural. As hair piece manufacturer, Qingdao Organic Hair Factory can make any products according to the customers’ requirement.This is our best all French lace base stock hair replacement. Breathable and durable. Fine bleached knots, natural and undetectable on lace base.Front hairline shows graduated and natural effect.The hair type is 100% human hair. It is high quality and soft hair texture. There are also Chinese hair, Mongolian hair, European hair in our factory. Both remy hair and virgin hair are available.This stock piece can send you after your payment 2-3 days.